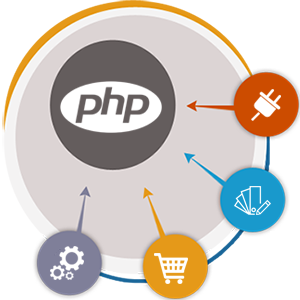 PHP is being regarded as one of the easiest programming languages due to which is it quite famous and widely accepted among PHP developers. Being widely accepted makes it used more often used for software programming to create dynamic user friendly websites. In the present scenario, when being digitally sound and having user friendly website is a basic need for organizations. WebAppMate caters to this important need which helps organization to survive in prevailing cutthroat competition by delivering dynamic multi-functional business customized websites and web applications. WebAppMate has a team of highly experienced Core PHP developers which have expertise in delivering multifunctional user friendly websites and web applications who can easily meet the client’s requirements effectively and efficiently well within the committed time frame using our Core PHP Content Management System. Our developers have an experience of serving multiple clients all around the world with diverse industry specifications. Hence, they have in-depth knowledge of industry requirements which help them to think innovatively and suggest various important points to the clients. They work as an integral part of the client’s organization not as a sub-contractor or third party service provider. And provide some Add-one which usual PHP development companies are not able to provide. We believe in long term relationships for which we provide excellent services with quality of work which is being vouched by our repetitive client ratio as compared to that of new clients. Many of the clients love working with us as our developers provide them with fruitful suggestion and understand them in a better way. We create the shopify store from scratch. We start with installation of the theme, After that we set up the DNS . Creation of store involves setting up of website, payment gateways, shipping settings. Third party plugins are also integrated. SSL needs to be installed for security purpose of the store. We migrate the stores in other platform to shopify. Store are migrated to shopify from magento, woocommerce, php etc Migration of stores involves customization of theme, importing stores data to shopify,setting up a new domain for new store. We also do maintenance of the shopify stores. Maintenance involves reviewing the website, speed optimization task of the store, support tasks. It also includes code optimization to make store performance better. Version upgradation is also a part of maintenance. Integrating any website to a PHP based platform. Supports frameworks such as Symphony, Zend Framework etc. Your online shopify store is your brand identity and our expert developers truly understand this. We customize your online shopify store exactly as you want so that it best reflects your brand. When it comes to shopify, we are the very best in the industry and you can rest assured with the code quality and on-time delivery. Discuss your requirement with us and let us propose you the best solutions. Hiring a dedicated Shopify developer to create a customized e-commerce store for you is a cost effective, high quality, and flexible solution, and can be executed in a fraction of the time. Our team of experts and dedicated Shopify developers will execute the project in total sync with the objectives and goals of your business, all while adhering to the best industry practices and global quality standards.